[Editor’s note: There is no doubt in my mind that the Allied bombing campaign against Germany in WW2 was one of the worst war crimes ever committed. 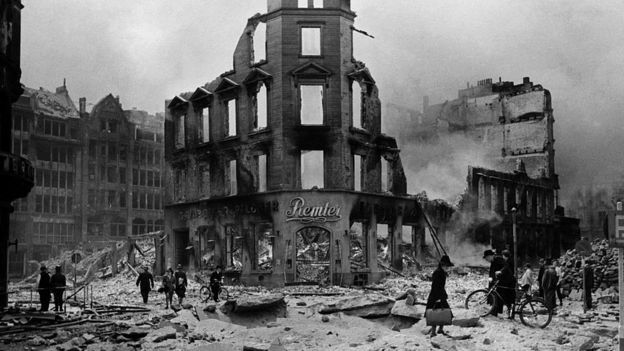 While certain despicable self-proclaimed intelligence experts laud the deaths of German civilians as a result of the bombing as a ‘glorious slaughter’ and lament that ‘we didn’t kill enough of them’ I feel only disgust and revulsion at what was done to the German people by my forebears. The British people were conned into believing that the bombing of German cities was helping to win the war, that it was justified because those horrid Nazis were slaughtering innocent Jews and others they deemed ‘untermensch’; the simple truth is it did nothing to shorten the war, rather it prolonged it by giving the German fighting men a fierce determination to resist and gain some degree of vengeance for the slaughter of their loved one and the destruction of their homes. 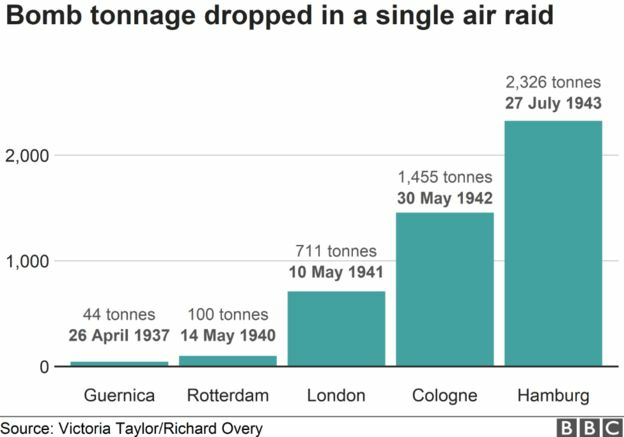 The German bombing of Britain was a mere drop n the ocean compared to the immense scale of the slaughter and destruction the Allies wreaked on Germany, in no way, shape or form can the two bombing campaigns be compared, so disproportionate are they when compared. Another great lie, still believed by many in Britain was that the goal of the war and the bombing campaign was to defeat the Nazis, in truth, as the butcher and arch criminal Churchill admitted postwar, the real intent was to destroy Germany and it’s people. The bombing was not aimed at the German war industries, the excuse given that attempts at targeting those industries failed due to a lack of precision is paper thin and the tactic of area bombing, where entire cities were levelled can in no way be justified in terms of the damage it did to German war industries. Churchill also admitted that much of German industry had not even been targeted, for the callous and cynical reason that when the war was won, we would inherit a desert of our own making and in fact, the Allied rulers wanted to preserve as much of Germany’s industry as possible, so that there would be something left worth stealing once the war ended. 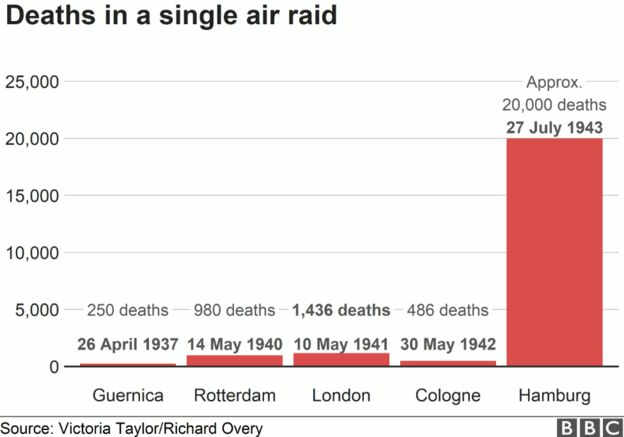 The BBC article is wrong, Hamburg, as deadly and horrific as it was, was not the deadliest nor most destructive raid of the war, that dubious distinction goes to Dresden where, just scant weeks before the end of the war, hundreds of thousands of German civilians met their end in a true holocaust, consumed by the firestorm created by over a thousand Allied aircraft. The official record still denies the death toll was more than 30-odd thousands and as horrific and tragic as that number is, the true figure is a factor of 10 or more greater. The centenary of the RAF not only coincides with the 75th anniversary of one of its most famous missions – the Dambusters – but also with one of its most controversial. Kate Hoffmeister, 19, was trying to escape the furnace her Hamburg neighbourhood had become. “I struggled to run against the wind in the middle of the street… we couldn’t go on across [the road] because the asphalt had melted. “There were people on the roadway, some already dead, some still lying alive but stuck in the asphalt. They must have rushed on to the roadway without thinking. 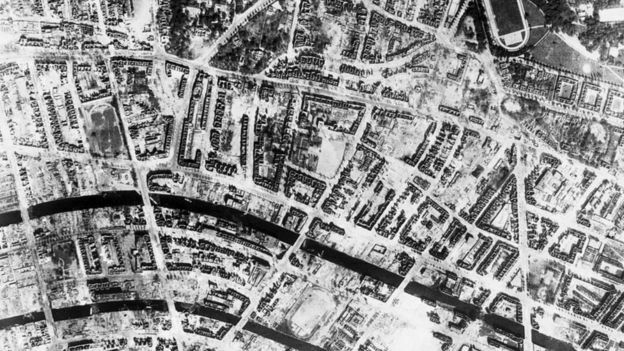 The attack on Hamburg, Germany’s second largest city, would be known as Operation Gomorrah, after the biblical city wiped out by fire and brimstone. Air raids were nothing new. The agonies of Guernica, Warsaw, Rotterdam, London, Coventry and Cologne, where raids killed hundreds, were already seared on the international consciousness. But Gomorrah in July 1943 would be on a new and terrible scale – unmatched by any other single Allied air attack in Europe during World War Two. Keith Lowe, author of Inferno, a book about the attack, said: “There is in the UK a tendency to equate what happened in Hamburg and Dresden with what happened in London and Coventry. Gomorrah was rooted in failure. Bomber Command’s early efforts were blackly laughable, with only a tiny percentage of bombs falling anywhere near their targets. 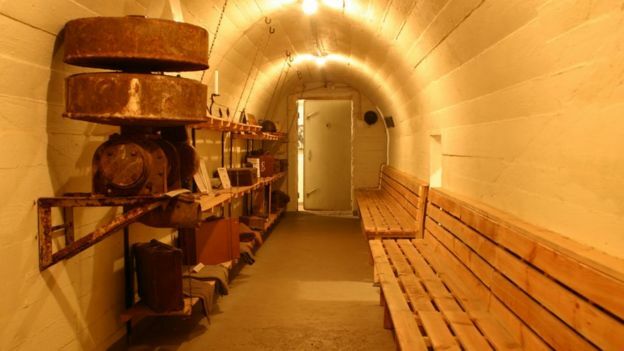 In 1941 it was calculated it took five tonnes of bombs to kill one German. 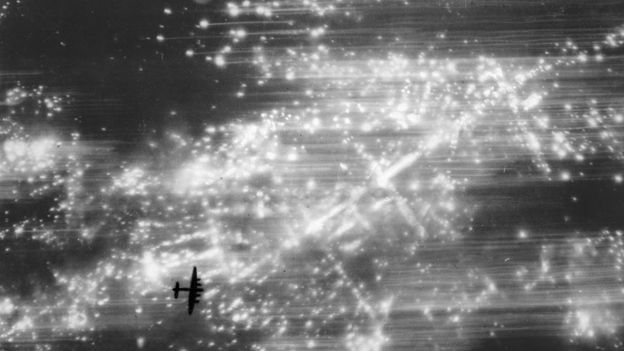 The numbers of enemy dead were almost the same as Allied aircrews lost. This prompted a change in tactics. Specific industrial targets were mostly abandoned. Mr Lowe said: “Hamburg was the result of a deliberate policy. In a way it would be understandable – if you can’t hit, say, an aircraft factory alone, you can try and hit anything around it. 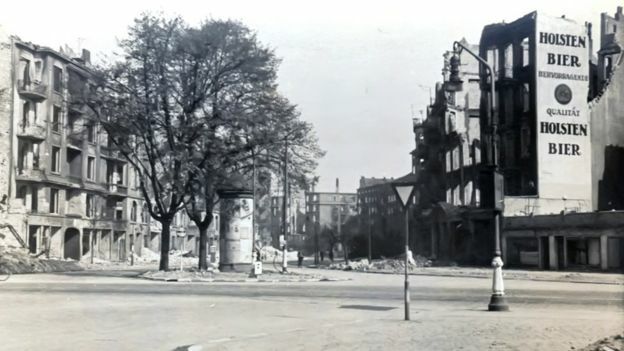 In 1942 a decision was taken by the War Cabinet and the Air Staff to destroy all of Germany’s cities with populations over 100,000, targeting “the morale of the enemy civil population – in particular the industrial workers”. 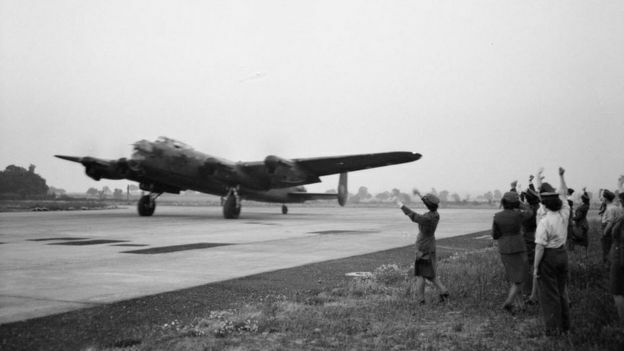 By the following year Bomber Command had enough aircraft, a single-minded leader in Arthur Harris and the technical knowledge to carry this plan out. Mr Lowe says: “Experience and extensive testing had shown a mix of high explosives and incendiaries was the most destructive combination. “The big bombs blocked roads, shattered water mains and, crucially, blew out windows and roofs. Gomorrah – with eight days of bombing by the RAF and USAF from 24 July – would prove these theories. In the event, a number of circumstances magnified Hamburg’s suffering. It had been a hot summer and the city was tinder dry. Emergency teams were busy dealing with fires from earlier raids in the western districts. 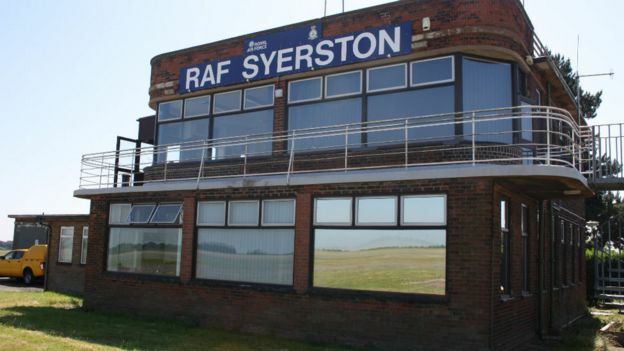 And the RAF had a secret weapon – codenamed Window. 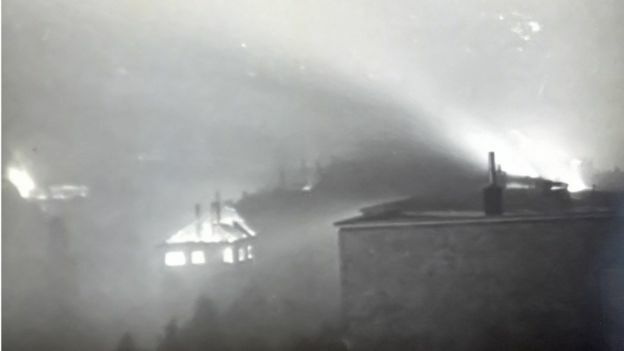 Tens of thousands of strips of aluminium paper were launched from planes, creating a snowstorm of reflected radar signals and effectively blinding the fearsome German defences. Almost unhindered, at 00:55am the first of more than 720 heavily laden bombers arrived over the tightly packed workers’ apartments in the east of the city. In the next few hours, a new word was added to the dictionary of war – firestorm (feuersturm). The phenomenon matched the apocalyptic name of the operation. Something akin to the wrath of God was visited on the city. Concentrated, unchecked fires linked up to turn parts of Hamburg into a furnace. Hot air soared into the sky, sucking more from street level. Winds reached speeds of up to 150mph (240km/h) and temperatures reached at least 800C. Wood, fabric and flesh blazed. Glass exploded, metal twisted, stonework glowed dull red. Packed apartment blocks became shells within minutes. Streets became tunnels of screaming hurricane-force winds – one survivor recalled a noise “like an old church organ when someone is playing all the notes at once”. Already stretched fire crews were overwhelmed. They faced a “sea of fire”, with clothes and vehicles bursting into flames. One described rescue efforts as like “throwing a drop of water on a hot stone”. The tornado, filled with fire, embers and debris, sucked people – especially the old and young – towards the fire. Henni Klank fled her apartment with her husband and baby only when the curtains were on fire and the ceiling began to crack. “At this moment something snapped in a neighbour and, caught up in a panic, he took his bed cover and wanted out. Cowering in a shelter, her family faced the same terrible choice as thousands of others that night: stay put and risk being buried, suffocated or even cooked, or chance the hellish conditions outside. With oxygen becoming so thin candles were fading, they broke down a cellar wall to escape. They faced a scene from the end of days. She said: “We came out… into a thundering, blazing hell. The streets were burning, the trees were burning and the tops of them were bent [by the wind] right down to the street. 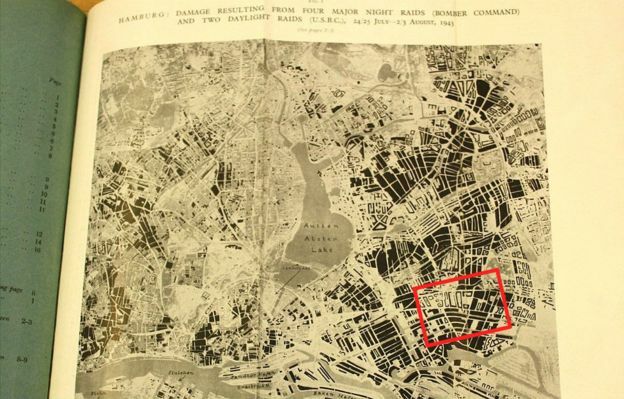 An area of about 4 sq miles (10 sq km) – roughly equivalent to the area of London from Kings Cross to the Thames, Hyde Park Corner to the Tower of London – was incinerated. And that was just the firestorm. Devastation was spread over roughly 12 sq miles (31 sq km). At the height of the raid 16,000 apartment buildings, with frontages of 133 miles (214km), home to nearly 450,000 people, were ablaze. Kate Hoffmeister, who had seen the people stuck on the melted road, found herself, her mother and her Aunt Emma trapped by burning trees. A grassy bank offered some shelter: “I suggested we roll down this bank… I went and I think I rolled over some people who were still alive. I lost my aunt at that point. Thousands of feet above, RAF aircrews were elated by the success of Window and awed by the power of the raid. Air gunner Douglas Fry recalled it as: “Brilliant, better than [earlier raids]. The fires were incredibly fierce; you couldn’t see a black spot amongst this huge sheet of flame which covered acres and acres. “But Hamburg raised for me for the first time the ethics of bombing. Other aircrews reported being able to feel the heat, getting soot over their aircraft and even the smell of roasting flesh. Operation Gomorrah ran until 3 August 1943 and involved six major raids. Estimates of the dead vary between 34,000 and 43,000. Records show the destruction of 580 industrial plants 2,632 businesses, 379 office buildings, 24 hospitals, 277 schools and 257 government or Nazi party buildings. Somewhere upwards of half of all homes in the city were destroyed. A million of the 1.7m population fled. Kate Hoffmeister lost her aunt, father and two uncles, but later found she was in the same hospital as her mother. Henni Klank and her family escaped in a boat packed with traumatised women and children, and had a last glimpse of the city covered in smoke “as if to hide the horror”. But for all the cost, what was the effect on Nazi Germany’s war effort? Dr Malte Thiessen, professor of contemporary European history, says: “News of the attacks ran like wildfire. Rumours of uprisings were making the rounds, fear and panic filled other cities that saw themselves next on the ‘hit list’. Dr Thiessen says Hamburg was “paralysed” for months after the attacks. “Although many arms factories and refineries were operational again in early 1944, demoralisation and destruction remained a long-term problem that also weakened war production. “And demands to protect the home front had a practical impact, in diverting arms from the battlefields, and a psychological impact, by raising questions on the fronts about was happening to loved ones at home,” he says. Harris was triumphant. Newsreels and papers claimed “Hamburg smashed!” and trumpeted the 40,000 death toll. Mr Lowe says: “To Harris, this showed that bombing alone could end the war and he pursued this idea. But Hamburg proved hard to repeat. 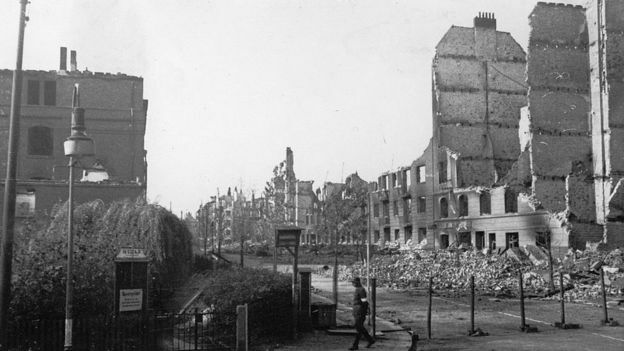 Improved defences and greater distances made the bombing campaign a costly slog. 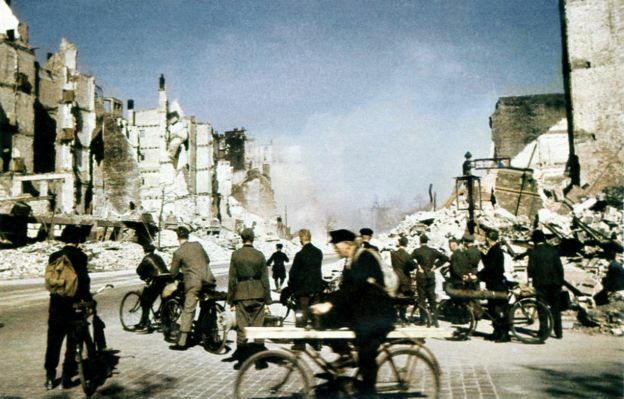 Even devastating raids like Dresden, in the last days of the war, saw fewer people killed. Much of Hamburg was not rebuilt for decades and, although partially preserved, St Nicholas’ Church was left as a shell. 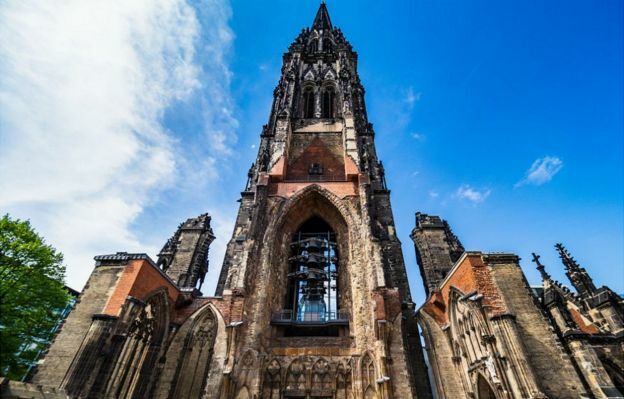 It is in the cellar of this gutted building – which was briefly the tallest tower in the world – that a museum about the firestorm has been set up, and where the anniversary of the operation is being marked with an exhibition. Victor Baeyens, one of the hundreds of concentration camp inmates forced to help clear the bodies and bombs from the ruins of Hamburg, wrote later the scale of destruction stunned even the prisoners. “When listening to those horror stories we no longer broke into cheers as we did during the air raid itself. Next articleHow Hard Is it to Set Up a Merchant Account? Even worse than the fire bombing of Tokyo in terms of deaths and housing destruction? Also, was not indiscriminate bombing of civilians initiated by Churchill since the RAF could only operate over Germany at night for the first few years of WW2, and precision bombing was not possible? Of course, this should not be seen as any kind of proper excuse, since both Churchill and the RAF knew the night bombing of German cities served no military purpose. And who bombed the supply lines to the concentration/labor/work camps? They do that in every war . . . bombard the supply lines. Starve ’em out. The Confederate Army was no exception. The Union Army had three times more trains, three times more tracks . . . who owned the rail lines? Answer that, and we know which “side” won. Keep supplies railed in for the Union Army. Food, clothing, ammo . . . the Union Army had three times more opportunity to supply their troops. And then the trains were used to ship the Confederate POWs to . . . CHICAGO. Those Confederates POW died from starvation, unclean conditions, etc. They weren’t even sent BACK to their homes for proper burial. A mass grave, the largest in north American, in CHICAGO is the final resting place for Confederate soldiers. Yeah, they couldn’t send them back to their southern homes, to their families? In the interest of Balance and Truth, immediately beside my bed, I have two framed high quality prints and one hand done picture, signed M Bormann, of Dresden prior to the bombing. One print shows the river with the Cathedral in the background and another the roof lines with the Cathedral obelisk in the foregond. The painting is of the Cathedral itself. Lest we forget. My dad’s best friend Ted Steele got killed on Blenheims sometime in 1940-41, doing anti shipping strikes over the Dutch Coast, not a healthy activity and I got raised knowing that dad visited his sad mother in an old peoples’ home. I’ve got no axe to grind with the ordinary airman, but the so-called Higher Authorities still have a lot of truth to unveil and a lot to answer for. Dad lost an uncle in WW1 and his friend in WW2. While he was on New Caledonia in 1943 he shifted casualties from the hospital ships to the big marquee hospitals. These were from further up The Pacific (presumably Tarawa, Iwo Jima and those nasties). He actively discouraged us from going into the Armed Forces during the Vietnam War, thankfully I had enough sense and filial loyalty to listen. As John Lennon said: “what if they gave a war and nobody came”. He got shot and killed nonetheless. A good booster shot. Thank you ! This is nothing to be proud of. Nor the bombing of Iraq, Afghanistan or Libya or Syria. To describe all this as evil is not a fitting description. It is beyond evil. Nobody with any moral compass would or should ever support the deliberate bombing of innocent men, women and children. Yet, many who proclaim to be Christians rabidly do so. There is nothing morally righteous of the fore bombing of the city of Dresden. Nothing. Anyone who attempts to justify it simply implicates themselves as morally bereft. I am not proud of what the allies did to Germany and its people. Churchill, a fat, drunken, racist filled with the hatred of Germany and the German people, a bloated self serving politician whose history of delusional self importance and one colossal error after another which has cost the lives of millions deserves nothing but ridicule and scorn. His statue that stands in Washington, D.C. needs to be torn down and broken into pieces. That history books so often refer to that evil twisted degenerate as a great statesman is proof that history is written by the victors no matter how obtuse and incorrect it may be. ” History are lies agreed upon.” Napoleon. Thank you Ian for such a moving and telling story of such horrendous crimes. As someone who lived and did business in Germany I have seen it. While now so many blame Islamist Jihadists for their cruelty, hardly anyone mention the crimes committed during WWII or the crimes of colonial powers in Africa or Latin America or even the Far East. Thank you and your essay is a must read for everyone, hopefully all members of Congress who must think many times before allowing the president to engage in wars. Thank you. How much of the so called war industry or other industries was owned by British Bankers and British owners ? Targets were carefully selected. Rest assured that the “right ones” were not hit. If Patton said that knowing what the Germans were doing at the start of WWII then he was an idiot (putting it midly). A close inspection of how the Germans acted while moving Eastward would prompt me to say “We must never forget”. But to forget we must first know and that is where the problem starts. Few know. 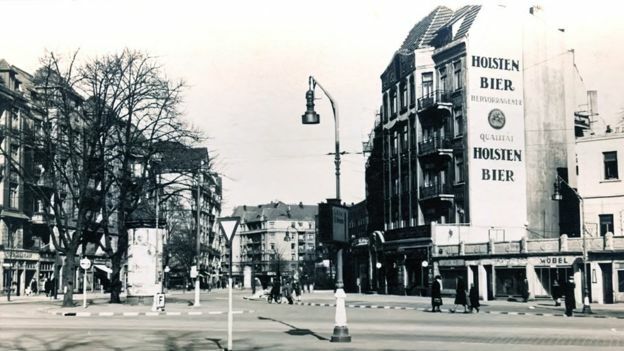 The behavior of the “decent” Germans Westward was quite different. Now that should get someone thinking. First, your reliance on WIKIPEDIA gives dubious credit to your work. It’s lazy. WIKIPEDIA is not a definitive source for anything of real value. You reflect your government school training and your religious dogma from whatever source you receive it. Truth, or the better and most believable version of events, comes only with filtering and refining research. All the internet is permeated with half-truth and innuendo. Now this site offers a much better alternative of research and support for the position that the ”Plan” was not much more than a pipe dream of staff game planners much as what still goes on at the Pentagon to this day. Henry77, I’d suggest that Poland should learn from germans at least that, to have a plan before acting on greater Poland in their minds. What do You think Hitler had choises when poles started slaughter Volksdeutschers living in Poland. He had to do something and that was Molotov-Ribbentrop pact. Britain/France declared war against Germany, but not against Soviet. Sounds to me, that the other side might have a plan as well. Generalplan Ost is just so stupid, that only regular reader of Wikipedia can believe it. Equally stupid Generalplan was also Operation Greater Finland. That appeared somewhere during Continuation War. Greater Finland – With What? And what did finnish military forces do to achieve that goal – nothing. There were many soviet targets that could be hit like Leningrad north west side and lifeline through lake Ladoga, and 1000 km long railroad supply line from Murmansk to south. But nothing happened, because that was just domestic propaganda to make citizen thing we are doing well. While the reality was that we are going to lose this war and the only question is how much. The simple 9 word phrase ‘we have destroyed the last decent people in Europe’ by General Patton, considered the greatest general of WWII by the German generals, also reaches one issue of why he was murdered under orders of General Bill Donovan, head of the OSS, predecessor to the CIA today. Donovan, himself an unindicted war criminal, paid a professional military assassin $10,000 in 1945 to plan and murder General Patton. Patton did not die in an innocent car accident as falsely reported in lying history books. While he was not killed at the scene, he was finished off at the hospital. Rubber bullets were used to cover his tracks. Even war criminals Ike and the others were in on it. Patton intended to return home and blow the whistle on the many criminal acts and failures of Ike. Patton was very popular and likely would have been the president instead of Ike had he not been murdered by our own government. Ike is also an unindicted war criminal, falsely idolized in lying history books. 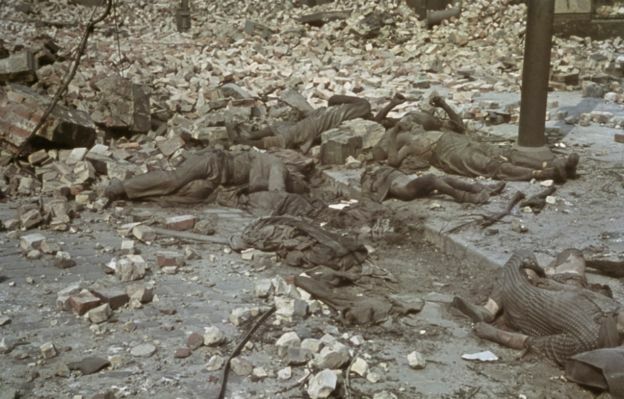 The Allied slaughter of Germans continued well after the war was over with the ‘holocaust’ of German prisoners of war in the camps on the Rhine and work to death camps in Siberia as well as re-utilisation of the German work camps by the Allies. As Ian says, no point in wasting good assets. Those German camps were not, as one might have expected, burned to the ground but re-used. As a teenager our family, based in 2ATAF Germany, visited Dachau which looked as if it had not changed since 1945, except that it was occupied by refugees. Forgot to say that the visit was in 1962. Yes, the Americans killed between 1 and 2 million POWs in the Rhine valley camps through neglect after Eisenhower had them reclassified from POWs to DEFs (Disarmed Enemy Forces); the British and French treated their German POWs altogether better and few died. However, the British and French also had blood on their hands, such as when the British Army in Austria handed the German and German-allied (Croats, Slovenes etc.) forces that had escaped from the Balkans back over to the Yugoslav partisans who then slaughtered them, hundreds of thousands were killed. The postwar civilian death toll is hard to establish, I have seen evidence of between 9 and 12 million deaths after May 1945, these were largely Germans who found themselves to the east of the new borders of Germany and had to flee westward to safety, the majority of them were slaughtered at the roadside by vengeful formerly occupied peoples – Poles, Ukrainians, Lithuanians, Czechs, Slovaks etc. Then there are all the German forces taken prisoner by the Red Army that were sent to the gulags of Siberia, unknown numbers died, probably 2-3 million, with the survivors not being allowed to return home until the mid 1950s. So the true genocide of WW2 in Europe was not of the Jews, it was of the Germans and it was the Jews who, ultimately, were behind it.